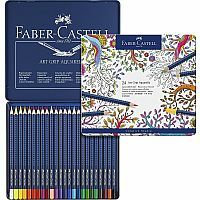 Faber-Castell Art GRIP Aquarelle pencils set of 24. 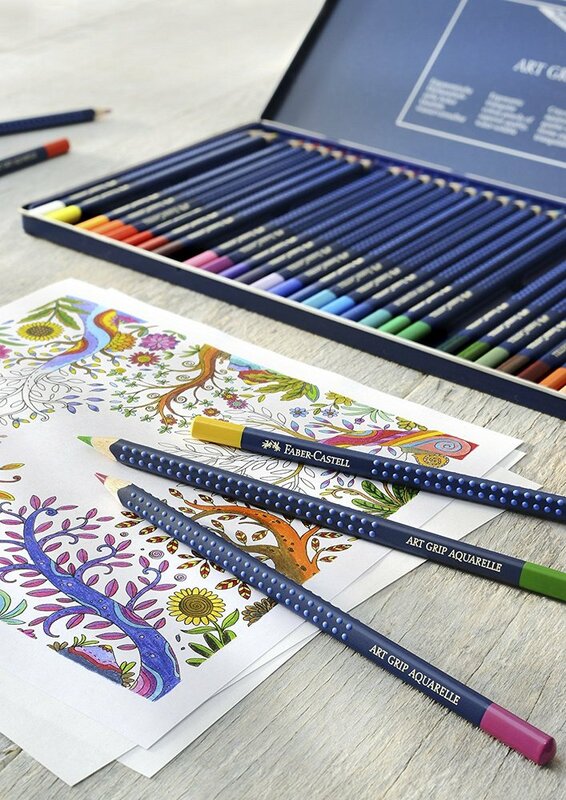 These pencils are ideal for precise drawing and superior to standard watercolor paints that come in tubes or pans and tend to dry out or leave unwanted stains or marks on your paper. No matter whether you are working on bright, colored or dark papers - the high level of pigments will bring your creative ideas to life. 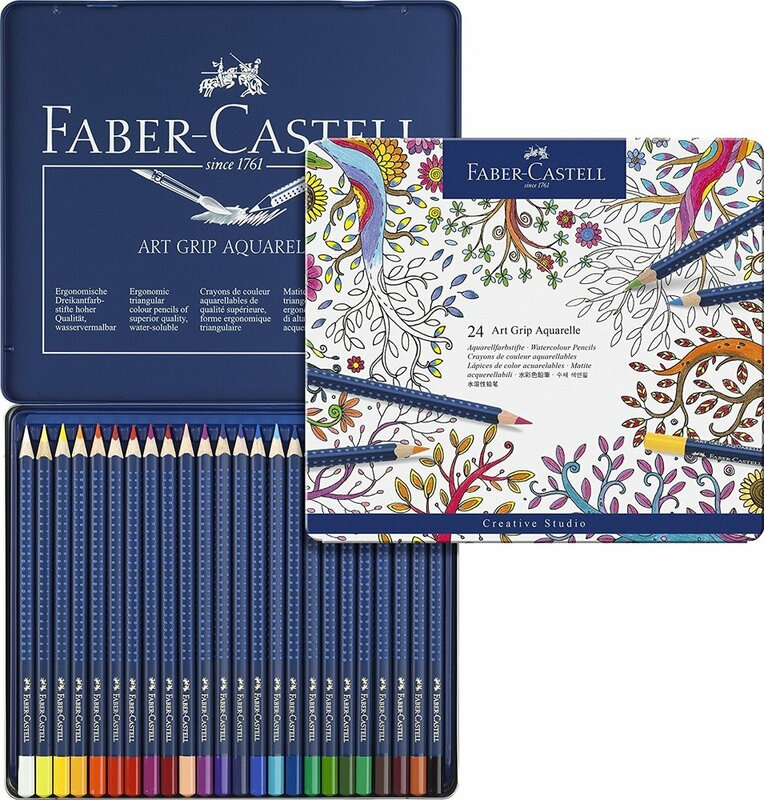 Fully watersoluble colors for unsurpassed watercolor effects for strong and brilliant results. 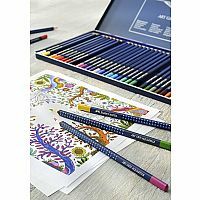 Soft vibrant color laydown and high break-resistance ergonomic triangular shape for tireless writing Ideal for amateur artists, students and at work. Protected against lead breakage by the SV bonding process.